Last week, the Juvenile Diabetes Research Foundation (JDRF) reported that for the fourth time in 18 months, one of the non-profit organization's biotechnology partners had signed a collaboration agreement with a large pharmaceutical company to move research on type 1 diabetes into the final phases of clinical trials. According to the JDRF, the newest development is the latest example of success in its Industry Discovery and Development Partnership (IDDP) program, through which JDRF provides early-stage research funding to drug and/or biotech companies working on technologies and therapeutic candidates. The latest example was JDRF's industry partner Bayhill Therapeutics Inc., which just entered into a collaboration agreement with Genentech, Inc., a wholly-owned subsidiary of the Swiss pharmaceutical giant the Roche Group, to further develop and potentially commercialize a novel antigen-specific immunotherapeutic which aims to reverse the immune response that causes type 1 diabetes. Other IDDP partners that have created similar commercialization agreements with big drug and biotechnology companies during the past 18 months include: Tolerx, which joined with GlaxoSmithKline to develop an anti-CD3 antibody to preserve beta cell function in newly-diagnosed patients; MacroGenics, which is developing a similar antibody with Eli Lilly and Company; and Toronto-based Transition Therapeutics, which has also signed a commercialization agreement for a beta cell regenerative therapy with Eli Lilly & Co. To date, JDRF has awarded more than $29 million in research funding to 25 companies through its IDDP program. Collectively, these are just the latest examples of JDRF's program which first made public headlines in a front-page Wall Street Journal story on January 26, 2007 describing the organization's new push to help fund for-profit companies doing drug research. These follow a number other deals that JDRF unveiled in preceding years, including a deal announced in October 2006, in which JDRF announced it would pay up to $3 million to Sangamo BioSciences Inc. for a phase-2 clinical trial of a protein drug that showed promise against diabetic neuropathy. Just a few weeks ago at the ADA Scientific Sessions in New Orleans, Sangamo BioSciences Inc. presented (abstract entitled "Reappearance of Nerve Potentials in Severe Diabetic Peripheral Neuropathy Patients with Unmeasurable Nerve Conduction Using Vascular Endothelial Growth Factor Zinc Finger Protein Activator") positive Phase 2 therapeutic data which resulted from this early JDRF-IDDP partnership. In that presentation, they reported that the trials resulted in statistically significant and clinically relevant improvements in subjects with moderate and severe diabetic neuropathy as compared to placebo. The biotechnology medicine was referred to as "SB-509" and was reportedly well-tolerated in both multi-dose studies. The logic behind these deals is simple: they're examples of what's known as "translational research", which is sometimes also referred to "bench-to-bedside" research which aims to assist in bringing promising therapies that might not otherwise ever see commercialization without JDRF's assistance to market. In effect, JDRF is helping to, as the banking industry sometimes refer to it, "de-risk" the development of these products, and in doing so, make these therapies more attractive to companies which might bristle at the cost of bringing them to market. Although JDRF aims to assist a variety of potential treatments with this IDDP program, fundamentally, the organization is pushing hard to to treat the root-cause of type 1 diabetes, rather than simply more palliative treatments, which is what virtually every type 1 diabetes treatment to date has been for nearly a century (88 years, to be precise). Palliative treatments simply treat the symptoms and manifestations of the disease, without ultimately eradicating the disease(s) which made the patients sick in the first place. The development of therapies for T1D has been neglected in favor of efforts in advancing therapies for the larger T2D population. Pharmaceutical companies have also been deterred by lack of clarity around the regulatory expectations for such therapies. The U.S. Food and Drug Administration (FDA) and other regulatory authorities have long been in a quandary about how to approve therapies directed at the underlying autoimmune cause of type 1 diabetes (T1D). Therapeutic targeting of islet autoimmunity has been focused to date on persons with some remaining beta-cell function, essentially those just diagnosed with T1D. This target population requires reenrolling in a registered clinical trial, which are relatively long and difficult to conduct. These and other challenges have slowed the pharmaceutical industry's pursuit of T1D therapies, even though it afflicts more than 1 million North Americans. (Footnote #1) The larger type 2 diabetes (T2D) population has dominated the attention of regulators and pharmaceutical companies alike. For T2D drugs, the regulatory efficacy end point, hemoglobin A1c (HbA1c), was validated by landmark trials as predictive of microvascular benefit, (Footnotes #2 and #3) and the design of T2D registration trials has become standard. For some time, the FDA assumed that HbA1c should also be the primary end point for T1D therapies. #1. National Institute of Diabetes and Digestive and Kidney Diseases. 2003. National Diabetes Statistics Fact Sheet: General Information and National Estimates on Diabetes in the United States, 2003. 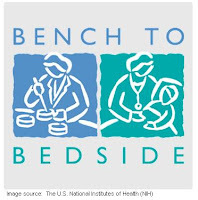 U.S. Department of Health and Human Services, National Institutes of Health. Bethesda, MD. #2. The DCCT Research Group. 1993. The effect of intensive diabetes treatment on the development and progression of long-term complications in insulin dependent diabetes mellitus. N. Engl. J. Med. 329: 978-986. #3. The UKPDS Study Group. 1998. Intensive blood glucose control with sulphonylureas or insulin compared with conventional treatment and risk of complications complications in patients with type 2 diabetes (UKPDS 33). Lancet 352: 837-853. To be sure, there is some debate on whether all of the new type 2 therapies represent genuine progress. Some drugs, such as Merck's Januvia (sitagliptin), are extremely costly to the nation's healthcare "system" and this drug's benefits are somewhat questionable. Regardless, no one can deny that when it comes to new and improved diabetes treatments, the rule in the pharmaceutical and biotechnology industries is follow the easy money, with particular emphasis on the word EASY. It took 43 years for the first fundamentally new insulin variety (Eli Lilly & Co's. Humalog, or insulin lispro rDNA injection) to hit the market. Prior to that, the last fundamentally new insulin product was the Lente series (insulin zinc suspension), which was considered by most doctors to be far superior to NPH (insulin isophane suspension) in terms of predictability of time-activity profiles yet is no longer marketed today. NPH only remains on the market today because it's easy to sell in pre-mixed varieties such as 70/30, 50/50, etc. (it can be pre-mixed without changing the activity profile of the 2 insulins, while Lente products cannot). The pharmaceutical industry sees a potential goldmine in the massive type 2 market if they can convert even a small percentage to using those products, and not having to mix insulin is a key feature used to sell to millions of primary care physicians worldwide. Of course, these products do not deliver superior glycemic control, but they help to convert these "insulin naïve" type 2 patients into insulin users, which is the business objective. Market leader Novo Nordisk A/S reportedly has several insulin products in various stages of development right now, and these are designed to be "weight neutral" products, another pitch aimed more at converting the type 2 market into insulin users rather than a fundamental advance in treatment. But beyond almost non-existent insulin development, Novo only recently set up a biotech unit outside of Seattle (see here and here for details) to pursue "inflammation" drugs aimed at the root cause of insulin insufficiency (there are different forms of inflammation in type 1 and type 2 diabetes, but ultimately, no current drugs on the market can stop either of these destructive inflammation processes). Novo's move was more sizzle than steak, as the company really has nothing in it's inflammation drug pipeline, while rival Eli Lilly & Co. has 2 partnerships for potential autoimmunity treatments and beta cell regeneration therapy in various stages of development. At present, these target newly diagnosed patients, but there are a number of different efforts which ultimately hope to be effective in long-standing type 1 diabetes as well. However, in order to measure the effectiveness of these treatments, it's necessary to see if they work on newly-diagnosed patients first, then perhaps they can be expanded to include the majority of patients who are long-past the honeymoon phase. Regardless, it is heartening to see solid progress being made by these efforts; the JDRF should be commended on helping to bring new therapeutics to market beyond palliative treatments like a closed-loop insulin delivery system, which has plenty of critics (not the least of whom are the healthcare providers who will be expected to foot the ongoing costs, which will be much higher than current treatments). Whether the JDRF/Bayhill Therapeutics Inc. drug effectively arrests autoimmunity remains to be seen, but so far, the initial results appear promising. That, combined with several other therapies in various stages of development (see here and here for more background on some of these), perhaps combined with Exsulin's INGAP product (see here for some additional background) could spell the first fundamentally new forms of treatment for type 1 diabetes since the discovery of insulin in 1921. So far, this looks like the folks at Boston Consulting Group who created the following diagram (with a few additions of my own, noted in red) looks to be pretty much on target! I have been trying to follow IDDP projects but it isn’t easy. Thanks for the update. I wish JDRF was a little more transparent in what the milestones of IDDP projects are and when they are met. Occasionally one of the IDDP agreements gets into a 10k or other financial disclosure of the industry partner. If you think about, this is good news. Knowing that their is progress within drug industry that focuses on Diabetes is comforting. It may sound a bit ambitious, but let's hope that someday there will be a drug that can totally cure Diabetes. Thanks for sharing this. The translational research emphasis is quite interesting. I expect you are much more accepting of this “cooperative” venture than I am. I rather look t predictability in terms of past behavior, i.e. taking Lente insulins (that were better than other forms) off the market to improve corporate bottom lines with premix and highly profitable devices. I see this as a waste of charitable dollars with little emphasis on a cure. Spending this kind of money to support profit-oriented companies is like “chumming” the water to attract pirhanas thinking then one can safely swim in the waters. Profit (greed) blinds corporate America to human needs—even those of the chronically ill. Thanks to everyone for their comments! Brent, although I certainly agree with you to a point, I also see the logic behind JDRF's efforts, too. In essence, the organization concluded that thousands of promising potential therapies never make it to market because they aren't as lucrative as easily-merchandised type 2 treatments. From my own perspective, I see the logic of that. From a budget perspective, these account for a tiny fraction of JDRF's total budget, but they have potential to improve the lives of people with diabetes, therefore the "investments". Personally, I am more optimistic about the efforts that address the immune response combined with regenerative therapies than I am about more of the same s#!t we've seen for decades, but without assistance, and not all will pan out, but without these "investments", none will ever see the light of day.